2 Jun 2003, morning. Highpoint #7. 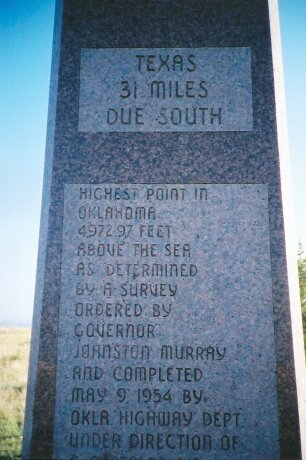 On the return from Longmont, Tom Buckley and I went for the Oklahoma highpoint. 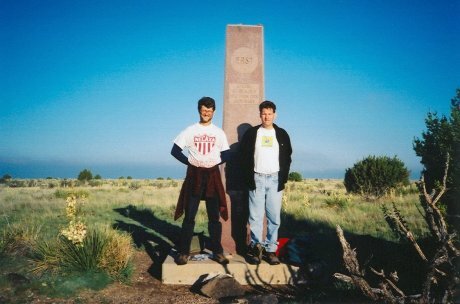 We drove into Boise City in the afternoon on 1 Jun 2003, and headed west on 325 towards Black Mesa. The weather looked very poor, however. We ran into some stiff winds, coupled with some strange reddish dust in the air. This being tornado country, we decided to wait for the next morning, and returned to Boise City to find a motel. We asked a local about the weather, and he tried to assure us that there were no tornados forecast, but he didn't seem convinced himself, so that wasn't all that reassuring. (A tornado had hit the town recently.) The next morning, we had an early wake-up, and drove to the trailhead, getting there around first light, in perfect weather. From the trailhead, the hike is about 4 miles each way, on an old jeep road. 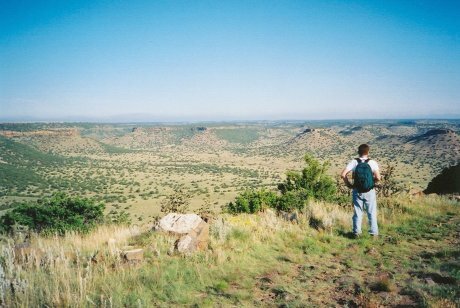 The hike is flat for a while, then climbs pretty steeply onto the mesa, and is then flat again until the summit marker. I thought that this was a really pretty hike. After returning to the trailhead, we drove on to Garland, where our trip ended. 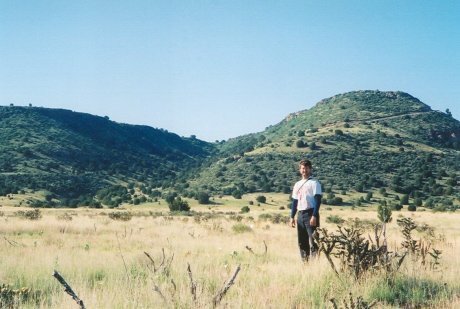 Tom with Black Mesa behind him. Me looking down from the mesa. Tom and I at the summit. 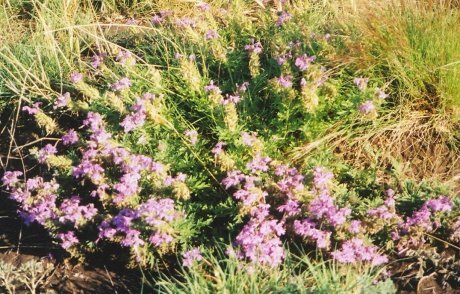 Some nice wildflowers on top of the mesa. 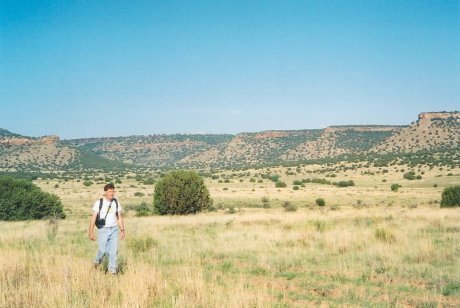 The terrain around Black Mesa makes for a pretty walk.